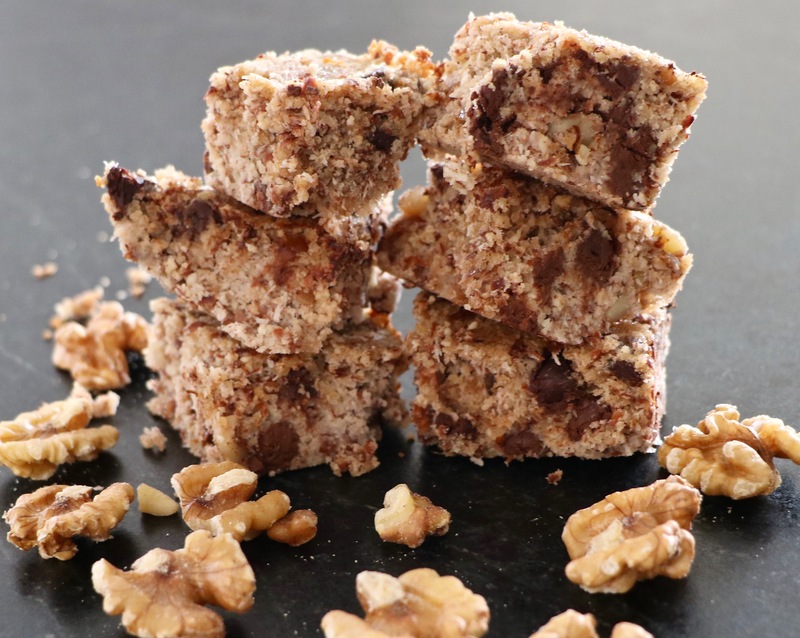 These delicious, healthy and super easy to make cookie bars are the perfect way to curb those sugar cravings in a healthier way! Whether as a 3pm snack, after dinner dessert or crumbled onto oatmeal in the mornings, this recipe will add some happiness and chocolatey goodness to your day! To make this recipe vegan, replace the eggs with chia or flax eggs and the chocolate chips with vegan chipits. Don’t have almond milk pulp? No problem! Add 2 cups almond flour + 2/3 cup almond milk instead. If using almond milk pulp that has been kept in the fridge, add 1/2 cup almond milk to it, since it will dry out in the fridge. Combine the first 6 ingredients in a large bowl and stir till combined. Combine the eggs, coconut oil, peanut butter and vanilla in a separate smaller bowl. Stir till thoroughly combined. Add the wet ingredients to the dry ingredients. Mix till combined. 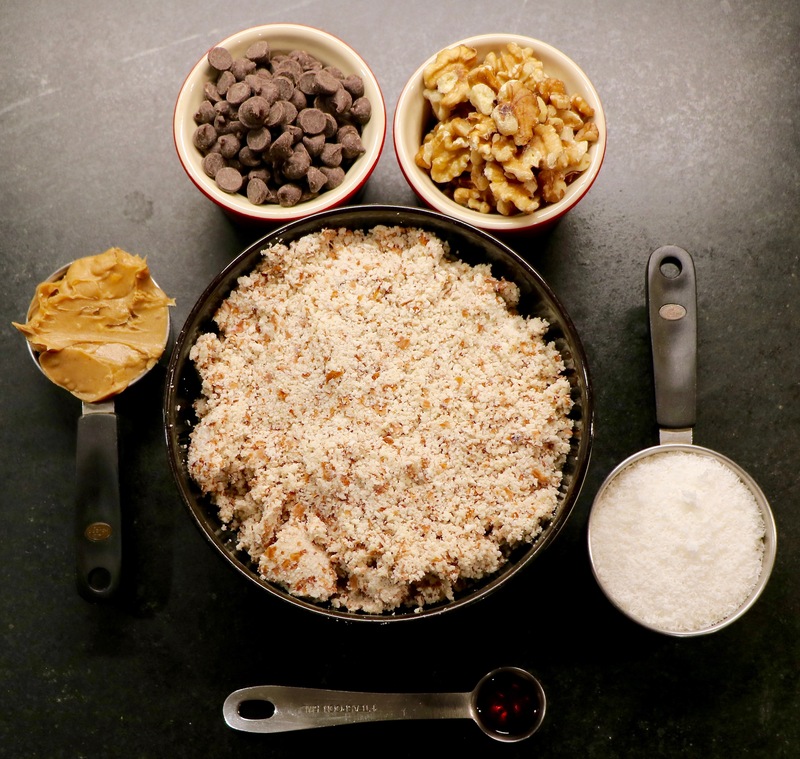 Add in the chocolate chips and walnuts. Mix till combined. Pour into a oiled 8X8 inch baking pan and pat down the mixture till the surface is evenly distributed throughout the pan. Any questions or comments? I would LOVE to hear from you!! I have a number of other recipe videos in the works and cannot wait to share them with you as well!